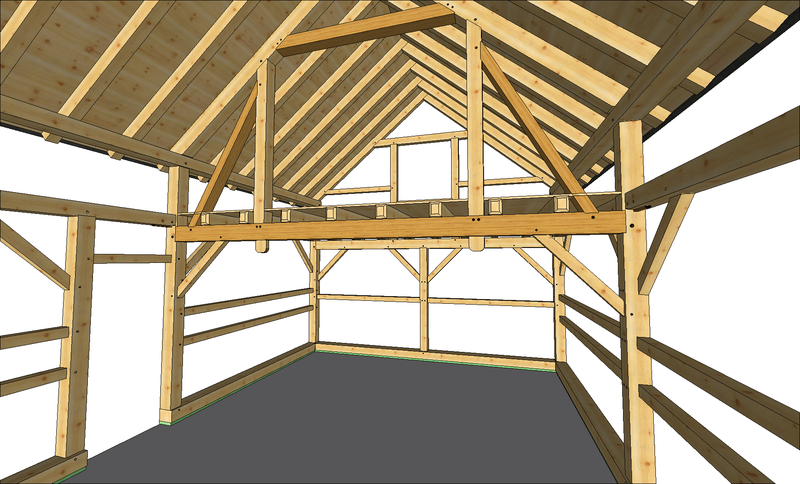 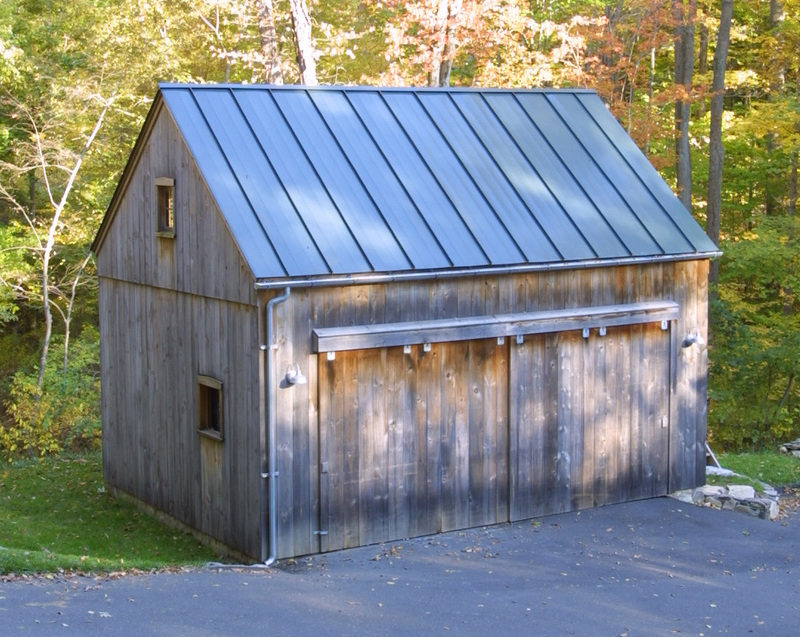 Another handsome 2 bay barn design that eliminates the need for any interior posts on the main level is our Redding Workshop Barn. 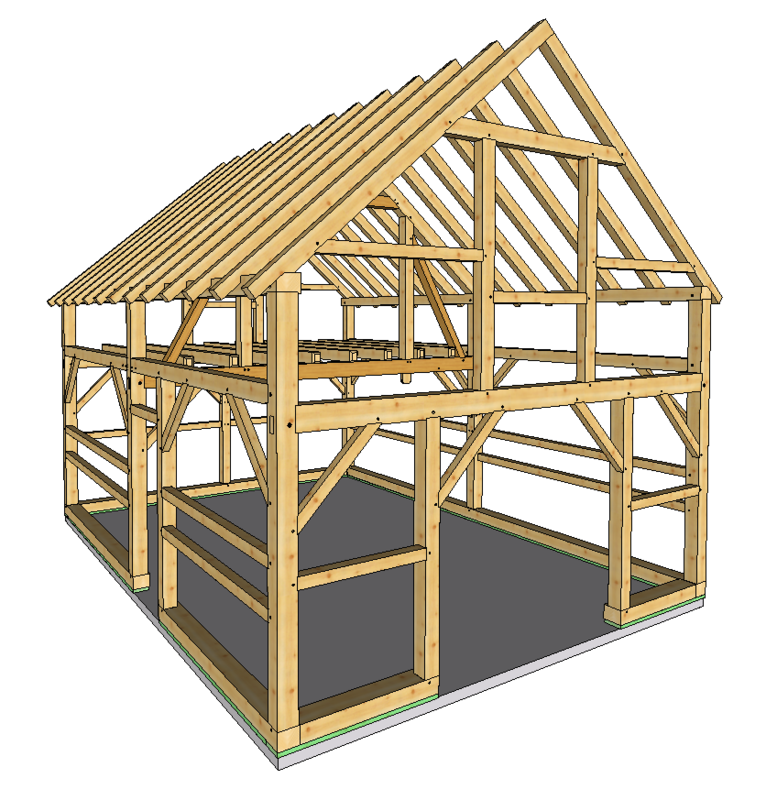 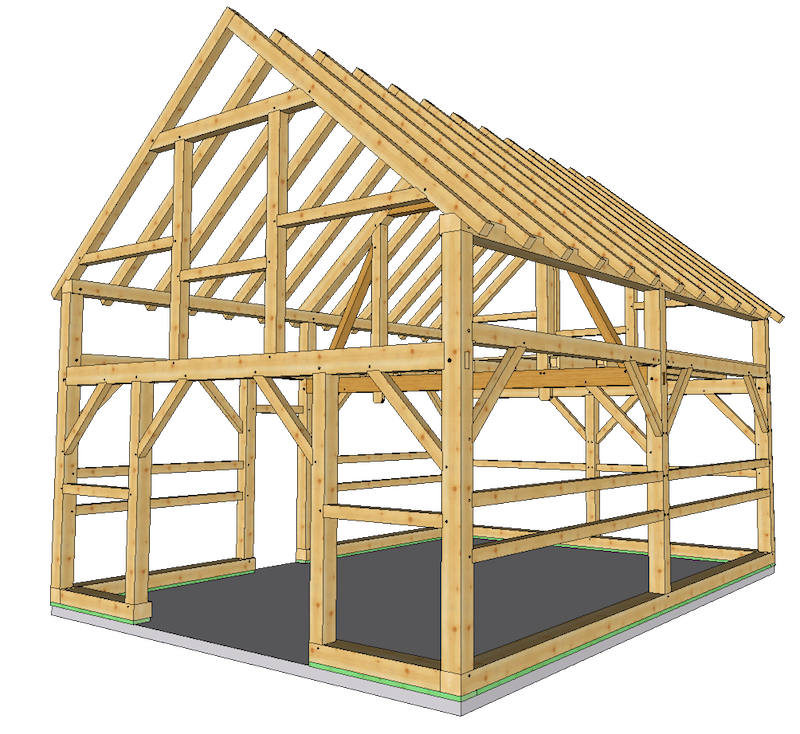 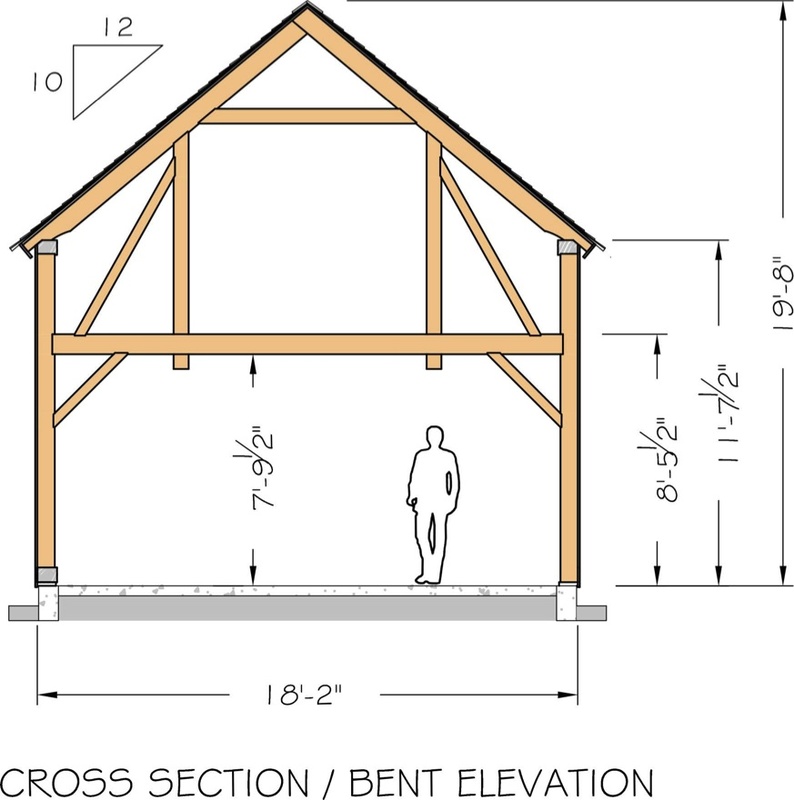 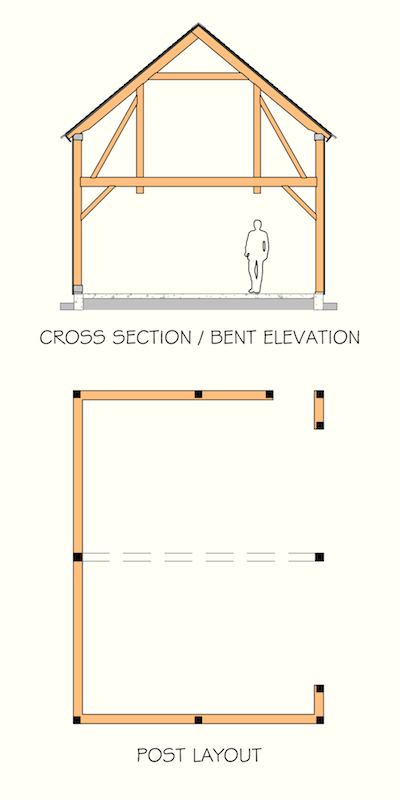 Two Queenposts support Principle Rafters at the center "Bent" creating a roof truss that can support a sturdy loft floor with a clear span below. 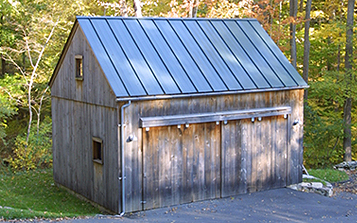 Perfect as a small garage or workshop! 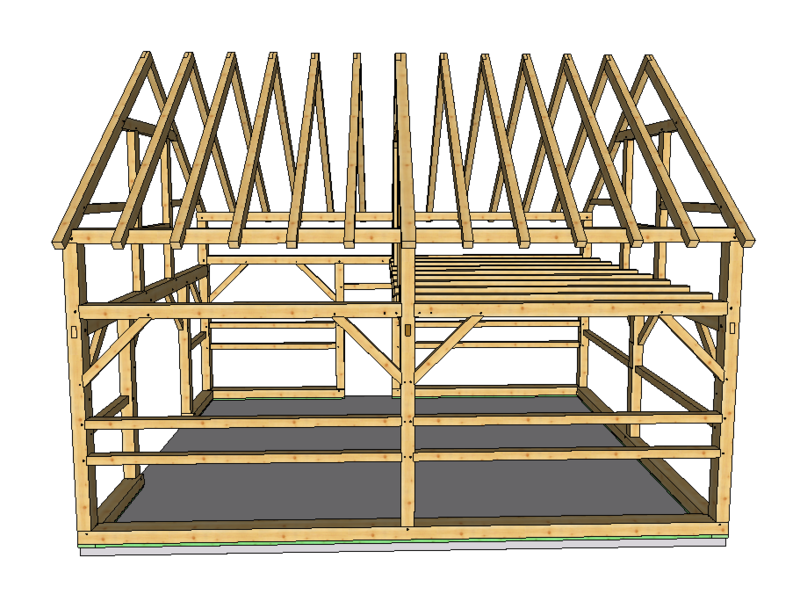 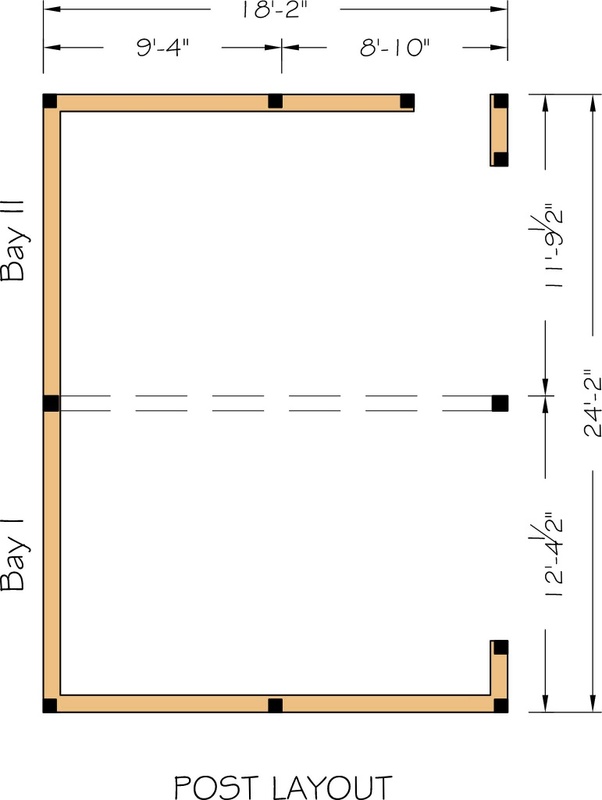 Of course, this or any of our designs can be extended in length by adding on additional bays. 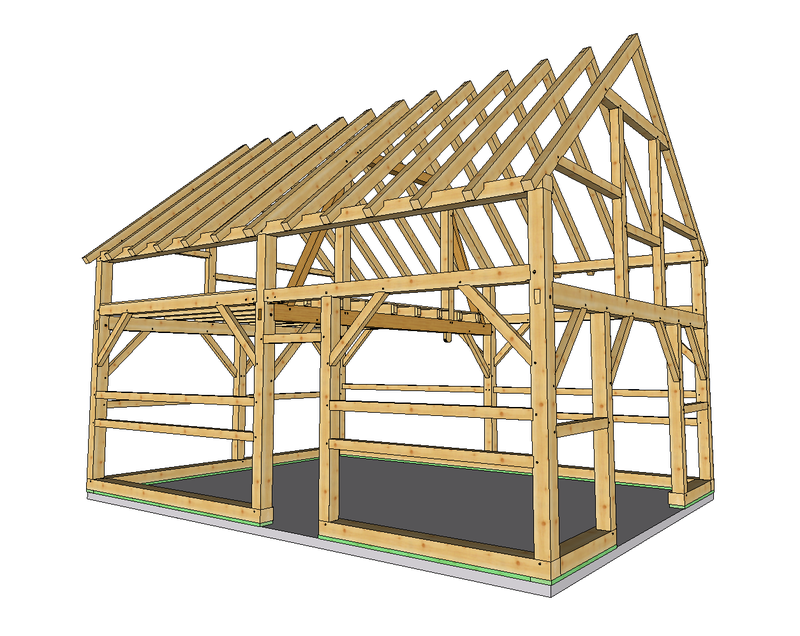 © Copyright 2019 by The New England Barn Company LLC.